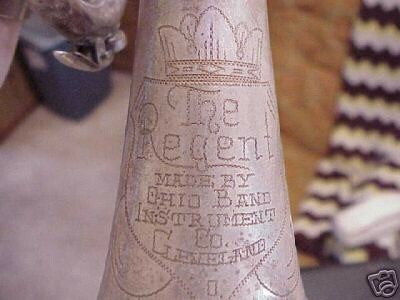 The photos and notes below describe the different engraving styles that were used on Regent instruments produced by the Ohio Band Instrument Company division of Reynolds. 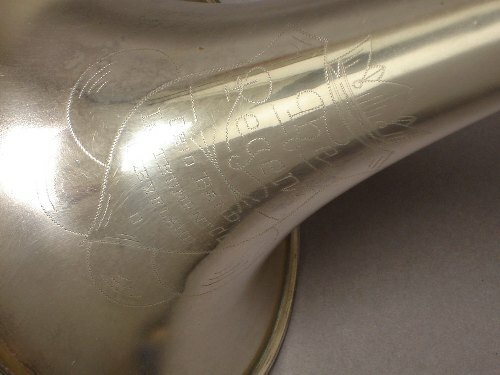 Note the “Made in USA” engraving on this early trumpet rather than “Made by Ohio Band Instrument Co. Cleveland O”. 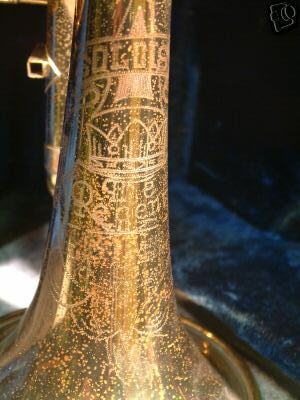 The standard Regent engraving style. Note the absence of the “Made by” text in this example, as well as “Instrument Co.” on one line instead of split like the previous example. The Regent SOLOIST model was presumably a slightly higher-end product than the regular Regent models.